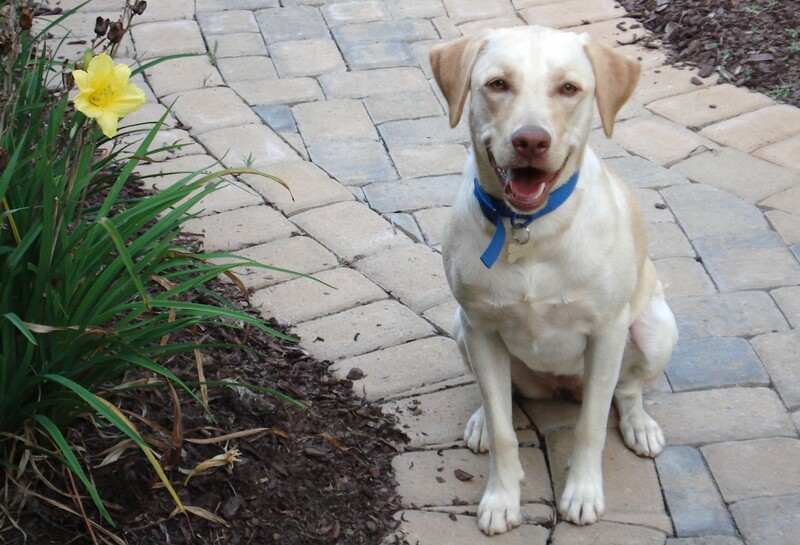 A government analyst reveals the pesticide scandal killing household pets around the world. My dog made me write this. 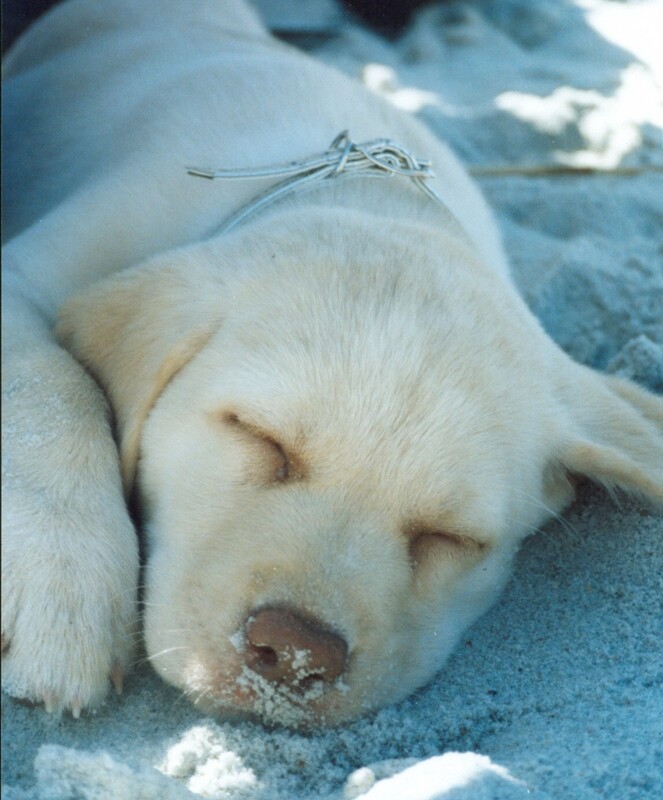 Her name is Gia. She’s ten. That’s her in the photo above. 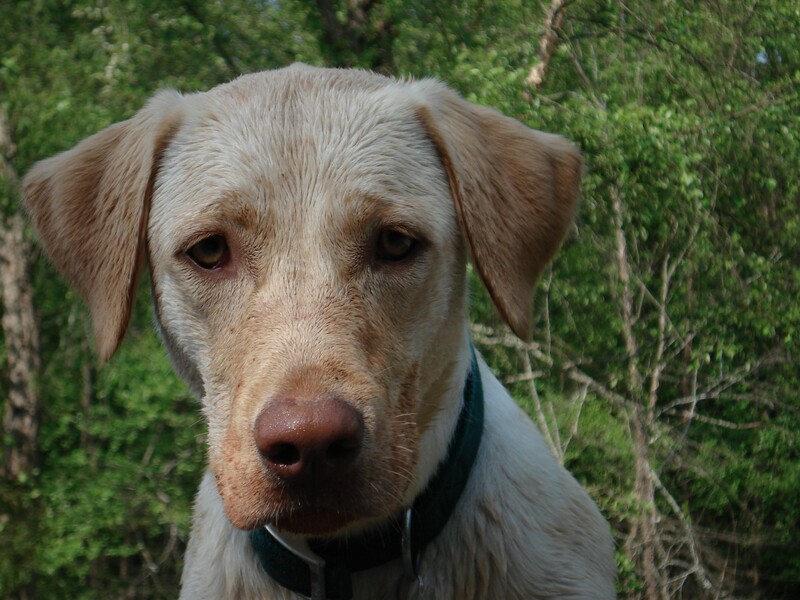 Gia loves normal Lab stuff like frisbee and swimming, but as for me, I spend most of my time in a cubicle in Washington, D.C. where I am an intelligence specialist at the Federal Bureau of Investigation. Raisins aren’t an investigative priority for FBI analysts but if I explained how they came on my radar, you wouldn’t believe me anyway. So let’s just get right to the story. Luckily for me, this isn’t a tale about Gia. But it is about a black and white Shetland Sheepdog named McGee. 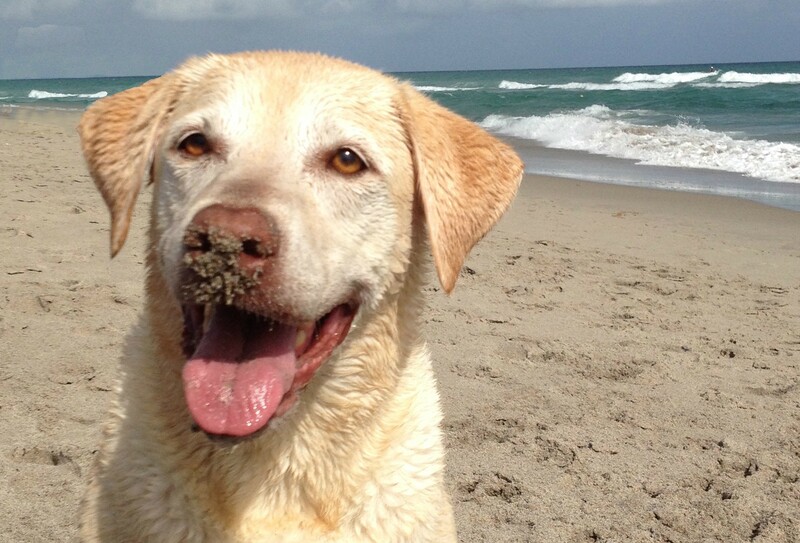 McGee was your typical beloved household canine. 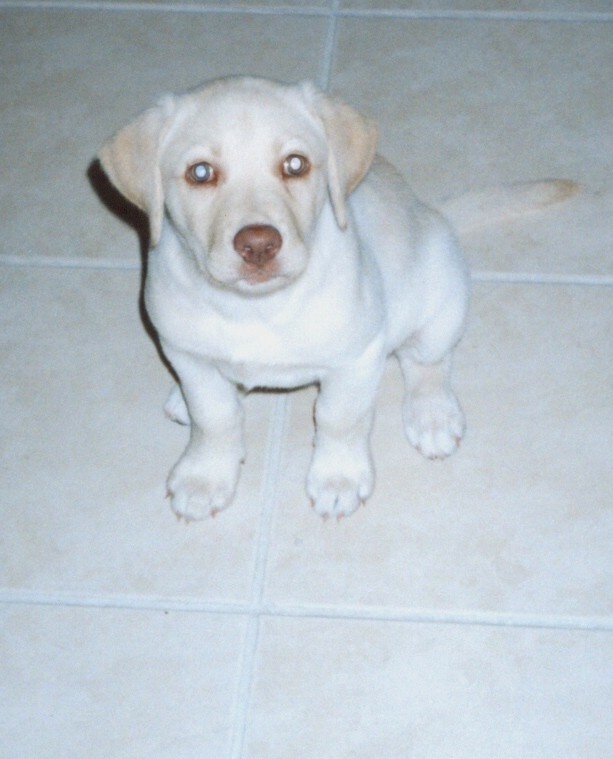 He was a rescue dog, a little overweight and a lot over-excitable, especially when it came to that magical time of the evening when his human housemates returned home from wherever it is humans go all day. He was the perfect gentleman, always greeting guests with a toy and waiting his turn as the humans doled out raisin treats to his rabbit siblings. Sure, McGee confiscated the occasional unattended sandwich or helped himself to a portion of fragrant trash now and then. But should such acts be punishable by death? He had eaten raisins many times before and they proved to be nothing but little bits of sweet, shriveled heaven. Neither McGee, his human housemates, or the veterinarians who treated him during his final days at the Metropolitan Emergency Animal Clinic in Rockville, Maryland had any idea raisins could send McGee to heaven directly. But in January 2001, the humans left 18 ounces of raisins on the coffee table. Was this an oversight on their part or a gift for their favorite canine? 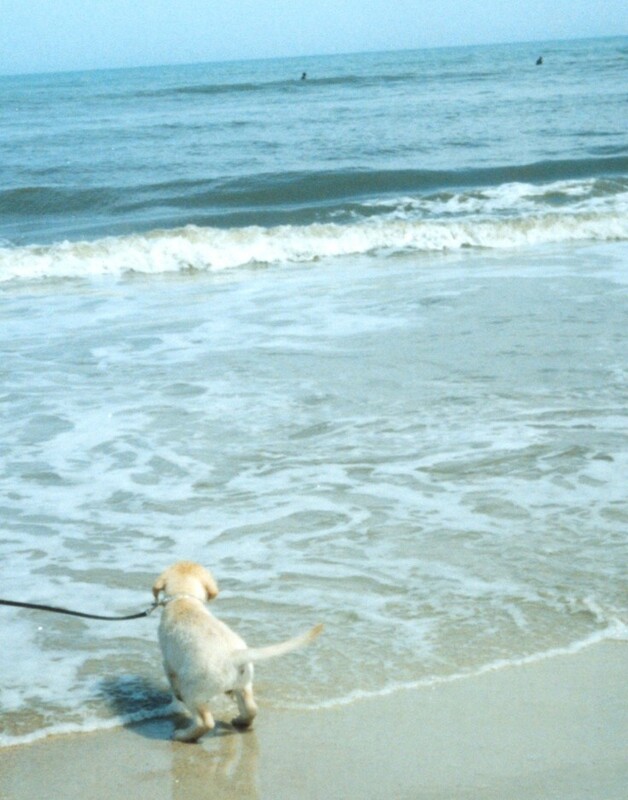 The humans didn’t say, so being a glass-half-full kind of dog, McGee interpreted the situation as the latter. Within hours, he started vomiting repeatedly. By day two, he couldn’t walk. McGee died that week of kidney failure. The veterinarian who treated him originally suspected rat poison, but later determined the culprit was his raisin snack. It was the first documented case of raisin toxicity in Maryland. In 2001, McGee steals a box of California raisins from the coffee table. Raisins shouldn’t be another lesson dogs need to learn the hard way. If I sit real good like this and smile pretty for the camera, will you keep reading? Okay, good. Keep reading. The story of American raisins begins around 1870 when advancements in irrigation and railroad transportation enabled large-scale commercial raisin production in California. With water piped in from the Sierra Nevada River, the central and southern San Joaquin Valley became a particularly popular spot for raisin crops because of low rainfall in autumn months while the grapes are drying. In 1912, Fresno area raisin growers formed the California Associated Raisin Company chaired by H.H. Welsh. They launched their first marketing campaign two years later during the outbreak of World War I.
Raisin prices skyrocketed during the war as the military purchased them as a cheap snack for troops. The U.S. Food Administration provided credit to European allies who imported California raisins by the boatload. Boiled raisin cakes, known as “war cakes” made without milk or eggs, became a symbol of American resourcefulness and were sent in care packages to troops overseas. Raisin production increased during the war to meet demand, but farmers were devastated after the war when prices plummeted. By World War II, federal regulators learned their lesson. Again, the demand for raisins surged, this time in the face of the Nazi threat. In 1942, the War Production Board ordered California’s entire wine grape crop to be made into raisins. Raisin vineyard acreage expanded as prices soared from $48 per ton in 1939 to $312 per ton in 1946. Things really got serious when mock mincemeat pies filled with raisins replaced traditional mincemeat pies filled with other stuff. This time when the war ended, the government was ready with a foolproof plan, or so they thought. Raisin farmers would continue to grow obscene amounts of raisins but to keep prices high, they would only be allowed to sell a portion of their crops. The rest would be seized by the government and squirreled away in raisin bunkers for a rainy day World War. Or they would be sold to foreigners at low prices to devastate raisin farmers overseas. At the very least, they would be fed to disappointed schoolchildren and confused cows. It was an ingenious idea. What could go wrong? The plan was implemented in 1949 as part of the New Deal when the U.S. Department of Agriculture promulgated Marketing Order 989 which created the National Raisin Reserve and the Raisin Administration Cartel that would run it. Instead of selling raisins directly on the free market, U.S. raisin growers shipped their raisins to a raisin “handler” who separated the raisins owed to the federal government and paid the grower only for the remainder. The campaign eventually ran into legal trouble when raisin farmers argued the advertisements cost nearly twice what the California producers were earning from extra raisins sold in Japan. As good as the idea of a National Raisin Reserve sounds, the cache never came in as handy as government officials must have thought it would, and yet it persisted until June 2015 when the U.S. Supreme Court sided with a stubborn farmer named Marvin Horne who refused to let the government seize his raisins. After 66 years, the National Raisin Reserve was finally deemed unconstitutional and it was abolished. My goodness, can’t a woman write about raisins for a few thousand words anymore? I haven’t even made any raisin’ puns yet, or clever plays on the words grapes and wrath. As I was about to say, now that you know the story behind California raisins, you can see how well-intentioned government policy has been causing the over-production of raisins in California for generations. The National Raisin Reserve, and the government-backed marketing that went with it, explains the longtime mystery of why raisins are given out as healthy treats at Halloween instead of personal-sized packets of dehydrated apples, pineapple, or papaya, to give just a few examples (hint, hint). It also explains why in America, raisins are seen as “the cool, hip dried fruit for kids” while prunes, which are basically just big raisins, are used solely to deconstipate old people. Raisins are the most popular dried fruit in the United States, accounting for approximately two-thirds of total dried fruit consumption. That’s not fair. The story of California raisins also shows how the U.S. grew to become the largest exporter of raisins in the world, exporting to nearly fifty countries and producing almost half of the world’s raisin supply — all from within a 60-mile radius of Fresno. How about this. If you keep reading, I’ll take you on a walk. What could be better than that, right?! KEEP READING!!! Over time, monocrops become more difficult to protect as nature intervenes in an attempt to restore biodiversity to the region. Natural threats develop resistance to pesticides and new species of threats are encountered when opportunistic predators move in. Eventually, some grape growers began using a pesticide called cryolite which acts as a fatal stomach poison in grapeleaf-greedy bellies. Your dentist might not be familiar with cryolite but it played a pivotal role in the most enduring legacy of the early U.S. dental establishment: fluoridation of the public water supply. The National Institute of Dental and Craniofascial Research (NIDCR) tells the story best. It started as an observation, that soon took the shape of an idea. It ended, five decades later, as a scientific revolution that shot dentistry into the forefront of preventive medicine. This is the story of how dental science discovered — and ultimately proved to the world — that fluoride, a mineral found in rocks and soil, prevents tooth decay. As the NIDCR’s story goes, in 1909 a young dental school graduate named Frederick McKay left Pennsylvania to open a dental clinic in Colorado. When he arrived in Colorado Springs, he was appalled to see many of the townspeople’s teeth were splotched with permanent stains the color of chocolate candy (their analogy, not mine). McKay joined forces with H.V. Churchill, an industry chemist from the Aluminum Company of America (Alcoa) who was researching a similar phenomenon in the company town of Bauxite. McKay and Churchill discovered that fluoride was the cause of the unsightly stains on people’s teeth. The community water shed in Colorado Springs was high in fluoride because it contained deposits of cryolite from the rock formations of Pike’s Peak. This is the same mineral, sodium hexafluoroaluminate, that is crushed and sold to grape growers as cryolite although now it is widely produced synthetically by combining sodium, fluoride, and aluminum. It is difficult to gauge the fluoride content of raisins following the introduction of cryolite to grape crops around 1970 — the same year the government realized the need to establish an Environmental Protection Agency — but my investigator instincts tell me there was more going on than government regulators were able (or perhaps willing) to monitor. Here was my first clue. The petition was submitted by the Cryolite Task Force which is comprised of two cryolite manufacturers, Elf Atochem North America and Gowan Company. Previously, there was a blanket fluoride tolerance for approved crops at 7 ppm. There was no established fluoride tolerance specifically for raisins but the Cryolite Task Force proactively asked for one to be set at 55 ppm. Why would they do that? A tolerance for raisins was the only new tolerance they requested, except for tomato paste which they asked to be established due to their proposed increase in the existing tomato tolerance (don’t even get me started on the tomato mafia). 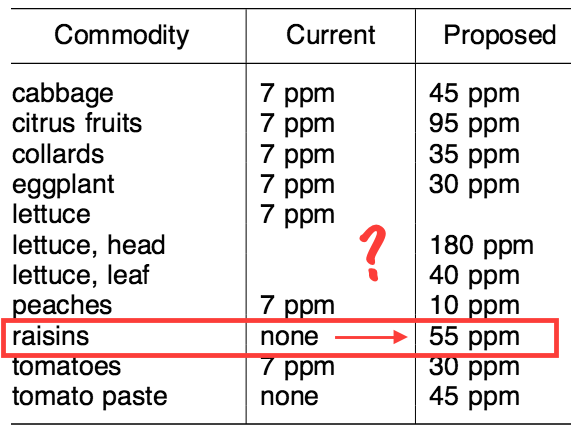 Granted, it is easy to see where the Cryolite Task Force was coming from when they asked for the limit for fluoride in raisins to be set at 55 ppm. Fifty-five is a fine Fibonacci, triangular, semiprime, square pyramidal number. So why not. Also, children and dogs should be responsible for thoroughly washing and peeling their raisins before eating them anyway. 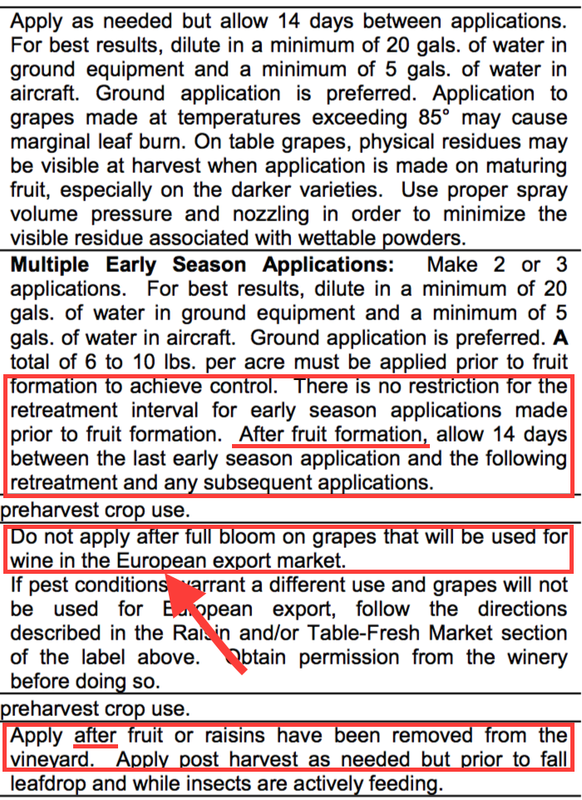 I thought perhaps EPA just lumped raisins in with grapes, but that is not the case with tolerances for other pesticides where they are listed separately. Grapes are grapes and raisins are raisins. The government is very clear with their food definitions. If the EPA makes a point of telling us that “onion” refers to both bulb onions and green onions and that “sweet potatoes” are also yams, then surely they would have told us if “grapes” are also raisins but only if cryolite is involved. Maybe the EPA does not have a current tolerance for fluoride residue from cryolite on raisins because raisin crops are no longer treated with cryolite? I offered Internet a chance to redeem herself by asking, “Is cryolite still used on raisin crops in California?” She escorted me into the land of the California Department of Pesticide Regulation’s (CDPR) online reporting database. It is a strange new world in there, with incredible sites to behold. In the most recent Summary of Pesticide Use Data, the CDPR describes cryolite as one of a few “widely applied insecticides” commonly used in the state. In 2013, cryolite was ranked at number 37 on the top 100 countdown of most used pesticides in California with over five hundred thousand pounds applied to California farmland. Over half of that total was used on vineyards. Out of the 289,700 pounds of cryolite used in 2013 on California grapes, 288,700 pounds were sprayed on grape crops in the self-described raisin capital of the world, San Joaquin Valley. California’s pesticide reporting database does not differentiate between raisins and table grapes (the industry term for the grapes you buy at the grocery store). As a result, it is unclear what percentage of the half a million pounds of cryolite used in California in 2013 were applied to raisin crops. But we know cryolite is applied to raisins. Why else would they use so much of it on vineyards in San Joaquin Valley? In case you ever find yourself in a position where you need to apply cryolite to raisin crops, hypothetically speaking of course (wink, wink), here is how you do it. If you are spraying it from the ground, you need to dilute it in 20 gallons of water but if you are spraying it from an airplane and planning to fly away real quick, you only need to dilute it with 5 gallons of water. Just don’t let anyone over three inches tall near the sprayed area for at least 12 hours. You can reapply cryolite without restriction unless the grapes are already formed in which case, just like with swimming after lunch, you should wait two weeks between applications just to be on the safe side. Grapeleaf Skeletonizers and Omnivorous Leafrollers can require anywhere from 3 to 10 pounds of cryolite per acre per application to be effective, but don’t apply more than 20 pounds per acre per season pre-harvest. I don’t know about you, but I find the instructions for applying cryolite are a lot to remember and I can see how it might be misapplied from time to time. As it turns out, it’s neither. The EPA is only responsible for establishing the tolerances for pesticide residue. The monitoring and enforcement aspect is left to the Food and Drug Administration and the Department of Agriculture. According to the most recent annual summary report for the FDA’s pesticide monitoring program, the FDA uses measuring methods that detect 484 pesticides. Cryolite is not on the list. In an attempt to give FDA the benefit of the doubt, I went through the trouble of sorting through their Glossary of Pesticide Chemicals which lists alternative names for over 1,000 pesticides. None of those names for cryolite are on the list either. Cryolite is the third most used pesticide on the second most productive crop in the number one agricultural producing state in the country. Why is the FDA not monitoring for it? When government regulators reviewed the safety studies on cryolite, even though most of the information considered in the review process is derived from unpublished, non-peer-reviewed studies carried out by the chemical companies themselves (as is the style), the EPA still saw the need for a blanket tolerance for approved food crops at 7 ppm. But why bother establishing a pesticide tolerance if no one is going to enforce it? There’s more where this came from. Keep reeeee-ding. It was 4 am and I couldn’t sleep because I had that nagging feeling (again) that the raisin mafia was up to no good. That’s when I downloaded the file (US2012.zip). Picture a spreadsheet with 57,502 rows. Each row lists a food item, the type of pesticide it was inspected for, the number of samples tested, the percent that tested positive, the average amount of pesticide each positive sample contained, etc. Now picture me using the handy ctrl+f search feature (if you don’t know it, learn it, you’ll love it) to look for the word raisin. Now picture me making a Taylor Swift surprise face. But not a good surprise. There were no search results for raisins. According to the online FDA database for domestic food products, the FDA did not inspect a single raisin for a single pesticide in 2012, the year of the most recent data posted online. Domestic Craisins, raisins’ sworn archenemy, were inspected for 380 different pesticides, but there was not one test listed for pesticide residue on the undefeated dried fruit champion of the American food scene. I checked other years and the results were similar. In 2011, they tested one lonely American raisin and he happened to be clean of the chemicals they checked for, but as we suspected earlier, cryolite was not on the list. In 2010, they inspected another American raisin for a panel of non-cryolite chemicals but he was clean too (hid ’em in his Converse). Imported raisins are a different story. In 2012, the FDA inspected raisins imported from Afghanistan, Argentina, Canada, Chile, China, and South Africa. But the U.S. only imports a minuscule portion of the 220,000 tons of raisins consumed by Americans each year. Why is the FDA focused on inspecting raisins imported from Canada and neglecting California raisins? And how did they even find raisins imported from Canada? That’s like looking for a Craisin in a raisin bunker. The state labs were doing pretty good remembering to test raisins in the late ’80s, but in the ’90s they only remembered once (1995). Between 1996 and 2014, they only tested raisins two more times including in 2010 when they looked at a raisin for pyrethrins, an organic compound derived from chrysanthemums, and in 2012 when they did a general pesticide screen (cryolite not included) on two more raisins. To give you an idea of how strange this is, in an average year, let’s go with 2011, the California Department of Pesticide Regulation tested for pesticide residue on 24 jicama, 23 chayote, 6 watercress, 3 water chestnuts, and zero raisins. According to their sampling history database, they inspect other common fruit and vegetables like oranges, eggplant, cantaloupe, garlic, raspberries, etc. every year. But raisins for the most part have had a free pass. I don’t know why California stopped routinely inspecting raisins for pesticides in 1989 but I do know this: the country that produces half the world’s raisin supply from one monocrop outside of Fresno barely monitors them for pesticides. Speaking of 1989, the year California stopped routinely inspecting raisins, this happened to be the same year wine-sniffing Europeans noticed excessive amounts of fluoride in the California wine they were importing. European regulators attempted to set a limit for fluoride of 1 ppm but Cryolite manufacturer Elf Atochem North America, along with Gowan Company, Gallo Winery, the Wine Institute, and California State University Fresno, argued for an exception of up to 3 ppm for California vineyards that use cryolite. This amount of fluoride is 50 percent higher than the Maximum Secondary Contaminant Level set by the EPA for drinking water and over four times higher than the CDC’s current recommendation for fluoridated water. The request was approved and yet some California vineyards treated with cryolite still failed to meet the 3 ppm exception. According to the California Department of Pesticide Regulation, the use of cryolite on wine grapes in 2013 was confined to five counties: Fresno, Kings, Tulare, Madera, and Kern (plus one vineyard used by a large producer of inexpensive table wine in Yolo county). These counties are all located in Southern San Joaquin Valley, the raisin capital of the world. Northern vineyards, including those in Napa and Sonoma, do not use cryolite. Neither do vineyards in southern or coastal areas like Temecula or Monterey. To confirm, I contacted every regional winery and growers association in California outside San Joaquin Valley and asked about their use of cryolite. The ones who replied either never heard of cryolite or verified they do not use it on their vineyards. I was also told that because cryolite is a fluoride product, some agricultural chemical companies like Wilbur Ellis won’t sell it because of possible problems with residual fluoride in the groundwater. Vineyards in Oregon and Washington states are not treated with cryolite, either. Studies of grape juice confirm an elevated fluoride content in some grapes. When researchers from Tufts University measured the fluoride level in 43 ready-to-drink fruit juices, they found the highest amount of fluoride in grape juice from Gerber at 6.8 ppm, well above the EPA’s maximum contaminant level for fluoridated water of 4 ppm. As far as I can tell, the petition was not approved. I stay away from wine but I drank a bottle of Belgian beer I found on the counter. Who needs a bottle opener when you have teeth like this, am I right? True story. Keep reading. In 1989, the year California stopped routinely inspecting raisins for pesticides and the year Europeans noticed high amounts of fluoride in imported wine from California, this also happened to be the year ASPCA’s Animal Poison Control Center noted the beginning of a trend in dogs like McGee who confiscated cartons of raisins from their live-in house servants. Within hours, the dogs developed vomiting, diarrhea, and in some cases, lethal kidney failure. These are all symptoms of acute fluoride poisoning, people. In the 1990s, while California pesticide regulators were busy inspecting rutabaga, celeriac and cherimoya, raisin toxicity in dogs continued to be reported in cases throughout the country and across a variety of brands consumed, which should not have been surprising considering virtually all raisins in the United States, regardless of brand, are produced from the same monocrop. ASPCA veterinarians claim pesticides are an “unlikely” cause of raisin toxicity in dogs, but it is a proven medical fact that healthcare professionals in the United States have a blindspot to the adverse health effects of fluoride. Let’s take a closer look at their research before accepting the idea that although humans have been cohabiting with dogs for centuries, veterinarians suddenly noticed in 1989 that raisins (and sometimes grapes) are intrinsically toxic to canines. 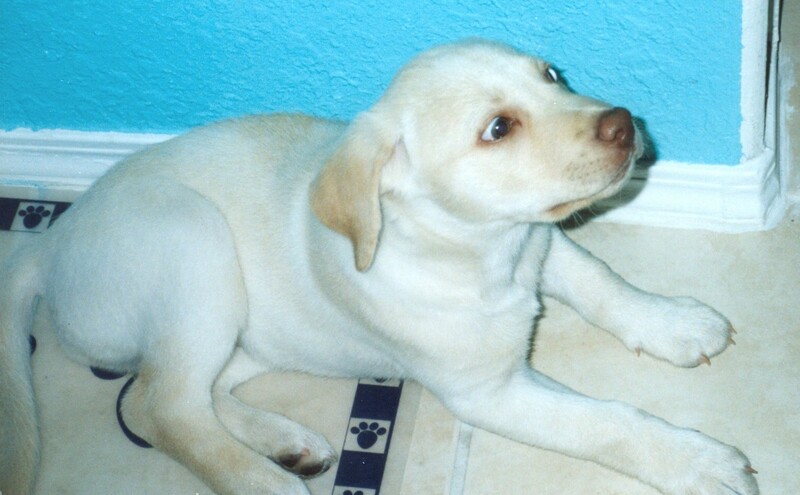 In a 2005 study published in the Journal of Veterinary Internal Medicine, veterinary toxicologists from the ASPCA’s Animal Poison Control Center conducted a retrospective analysis of 43 cases of acute renal failure in dogs following the ingestion of raisins and grapes. The earliest case report included in the study was from 1992. 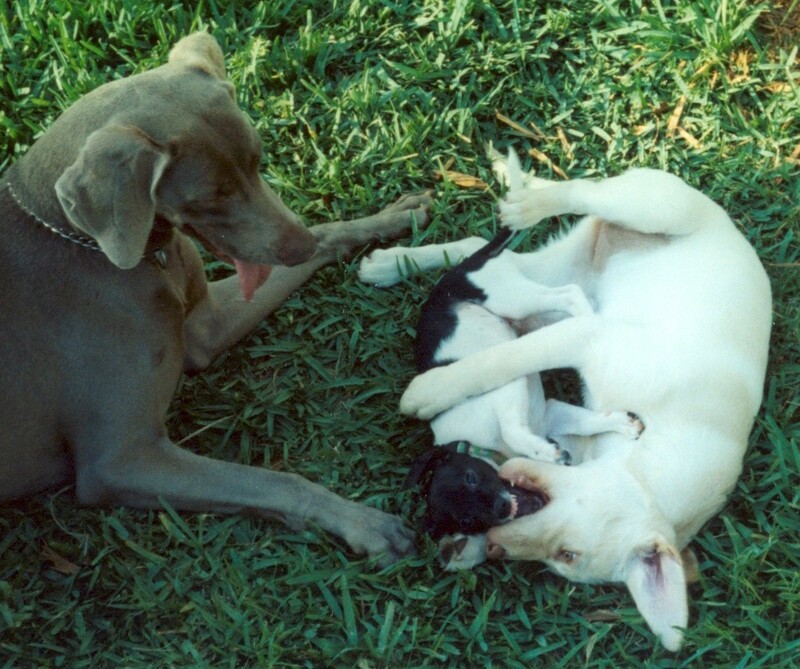 In 13 of the cases, Labrador retrievers played the leading role of raisin thief with 19 other breeds making up the remainder. Only 23 of the dogs survived their grape/raisin snack, and 8 of the surviving dogs experienced long-term side effects. Veterinarians think of themselves as dog specialists so they focused on the dog part of the story which explains why most of the retrospective study is an intensely close and personal look at dog pee. But now that you’ve read my raisin saga, I think it’s safe to say that you and I are armchair raisin specialists. So we are going to focus on the raisins. The dosage of raisins the dogs consumed ranged anywhere from 2.8 to 19.6 grams per kilogram of body weight. The veterinary toxicologists found this odd. Generally, when a substance is toxic, the more of it you consume, the more likely you are to become sick. But a lot of dogs consume raisins and never become sick. Some big dogs die from a relatively small dose of raisins while some small dogs die only after eating a large dose of raisins. Other dogs eat raisins all the time without incident, until suddenly one day there’s an incident. The ASPCA researchers hypothesize this might be due to an extrinsic substance that is not always present on raisins but they claim pesticides are an unlikely culprit because any pesticide residue would not contain high enough concentrations to cause renal failure. What evidence do they provide to support this claim? The authors point to FDA inspections of domestic table grapes (not raisins) in 2002 in which 20 samples of the six million tons of California grapes produced that year were found to be perfectly safe. Of course you and I know those samples weren’t even tested for residue from the millions of pounds of cryolite dumped over California. They also claim that pesticides rarely accumulate on grapes, citing this study of grapes in Sardinia… But Sardinia is in Italy, not Fresno where all of our raisins come from! The other evidence the ASPCA veterinarians cite was from one of the dog case studies where the offending raisins were tested for chlorinated hydrocarbon, carbamate, and organo-phosphorus insecticides. If even a single Raisin 101 class was taught in the school system these days, they would have known to test for fluoride too, but because veterinarians are raisin-illiterate, the opportunity was wasted. This is how worldwide rumors get started. The ASPCA’s analysis of raisin poisoning in dogs was cited in Google Scholar by 42 other articles. To give an example of how this grapevine works, one of those articles was published by the Veterinary Poisons Information Service in London which includes an insightful chart to show the upward trend of raisin toxicity in recent years. The author notes raisin toxicity is a new thing but he reasons it was probably just misdiagnosed before, as if past veterinarians wouldn’t have been able to put together the clues of a guilty-looking dog, an empty carton of raisins, and raisin-sprinkled vomit less than 24 hours later. Researchers in Canada, South Korea, Sweden, Austria, Germany and throughout the United States also reference the ASPCA study. California raisins are consumed in all of these regions but no one bothered to look up what pesticides are used the most on California raisin crops, let alone hire a lab to test for them. The story of fluoride and raisins is important because 1) it is killing dogs all over the world and 2) if a single box of the wrong kind of raisin can kill a Labrador retriever, what can it do to a human being? Let’s just think this through for a moment. 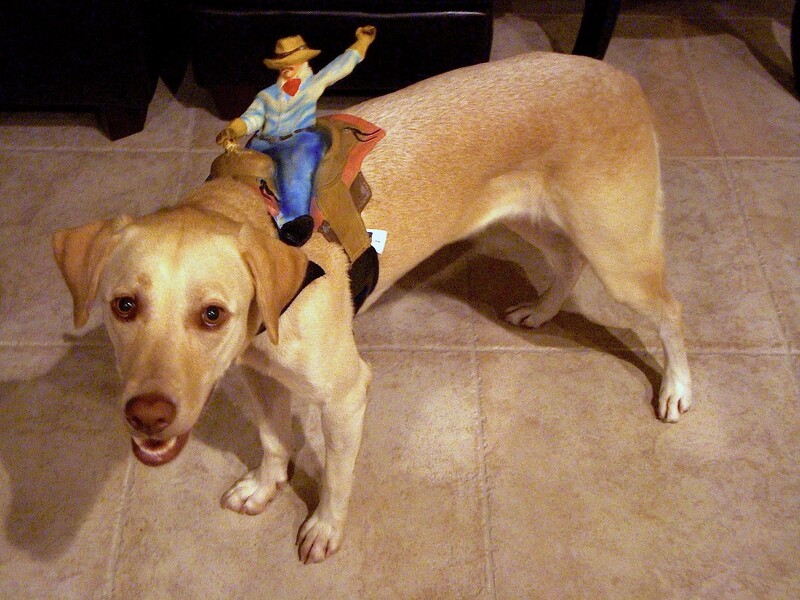 Dogs don’t usually eat raisins. When they do, it’s often because they confiscated an illicit food item. 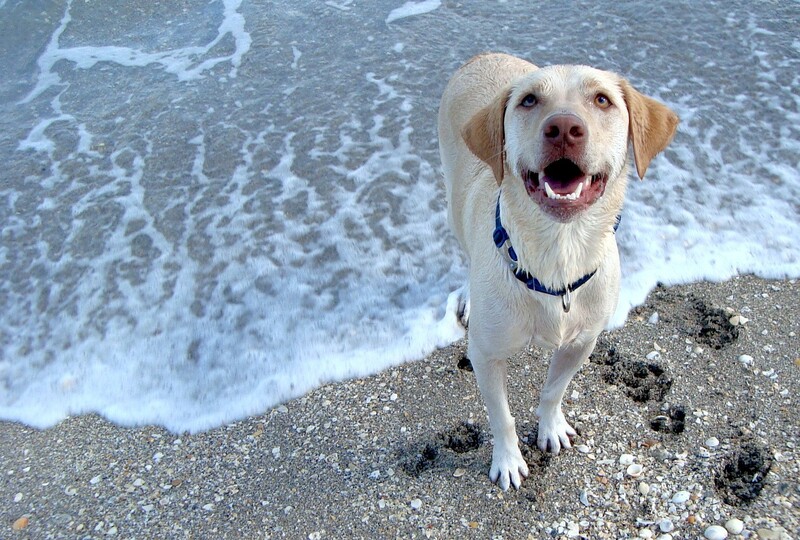 Labrador retrievers are particularly notorious for this because they have figured out that the secret to life, happiness, and everything is the more you eat, the more you can retrieve and the more you retrieve, the more you eat. 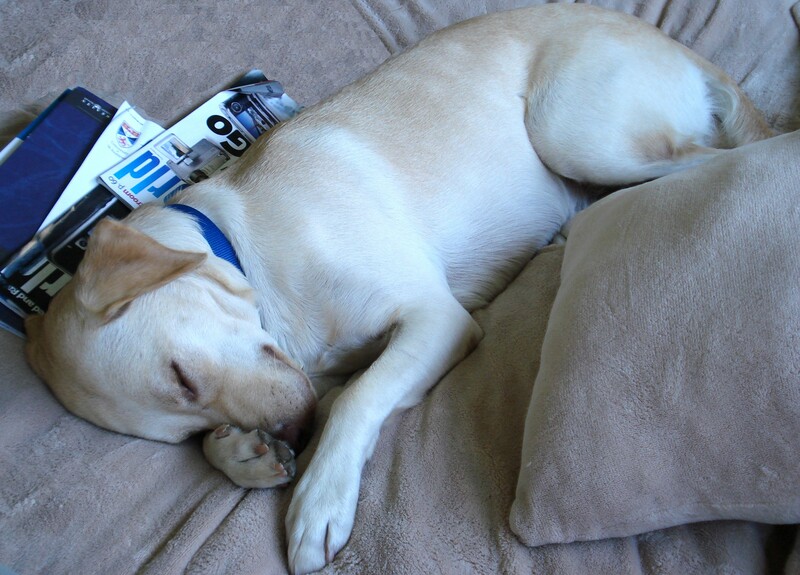 When dogs vomit, it’s almost always because they got into something they shouldn’t have, and it’s usually not difficult to figure out what it was (stupid human obsession with stupid food packaging). But when children vomit, or just get indigestion or an upset stomach, why would anyone ever suspect the cause to be the box of raisins they ate with lunch? Or a glass of grape juice? You would probably just think they caught a virus that’s going around. I’m not saying that children get sick from eating raisins covered in pesticide. I am saying that if children get sick from eating raisins covered in pesticide, I am not confident any of us would have been able to figure that one out yet. Veterinarians still haven’t figured out cryolite is the cause of raisin toxicity in dogs and they had the culprit vomited to them on a silver platter. Reading makes me super sleepy but this part is SUPER important so I’mma leave you alone for a minute so you can concentrate and keep reading. I admit, the story of fluoride and raisins is difficult to swallow. You might be wondering how it’s even possible. When did we fall down a raisin chute and end up in Willy Wonka’s Mad Hatter Raisin Factory? I might be mixing my Johnny Depp metaphors here but you know what I mean. Could the EPA, the FDA, the USDA, and the entire state of California all be conspiring on such an expansive plot? Here’s how this works. It’s not that our government is full of evil bureaucrats who congregate in cubicles, plotting ways to poison the rest of the population and the planet. I observed government workers in their native habitat long enough to know this is not the norm. But let’s do a quick behavioral profile assessment on government employees for a moment, shall we? Most of them are good people, even dentists, and they just want to show up, get the job done (with minimal effort, let’s be honest), and go home to their families — just like the rest of us. Government bureaucrats tend to be more risk-averse than your average American entrepreneur, which explains what attracted them to the stability of a government job in the first place. This trait, along with their propensity to use Microsoft Word’s cut and paste feature (or until very recently, WordPerfect), means the status quo is almost always favored. Why rewrite the wheel when you can submit the same old wheel everyone else has been wheeling since 1945. Rewriting wheels is risky business, and government bureaucrats a) don’t do risk and b) don’t do business. They do bureaucracy. It is statistically probable that outright corruption goes on from time to time. Have you ever tried to refuse an offer from the raisin mafia? But in my experience here in the United States, bad things happen mainly because bureaucrats are just normal people behaving as normal people tend to behave, with a few rotten raisins thrown in the mix. To give an example, let’s conclude our raisin chronicle with an account of the government’s efforts to approve cryolite and establish the associated residue tolerances. Hey. I’m back. I wanted to warn you there’s an adorable bunny video ahead (also, there’s something on your nose). I hate bunnies, but humans think they’re cute so I did it for McGee. I draw the line at cats. You’re almost there. Keep reading. The EPA reregistered cryolite in 1996 but at that point, the pesticide was a 40-year incumbent. That’s a lot of quo for a government bureaucrat to overcome. And this wasn’t your generic “we always do it this way” brand of status quo. By 1996, cryolite had a rare vintage of hyper quo that pesticides like DDT never dreamed was possible. Since cryolite is basically just ground fluoride minerals, the EPA treats it as fluoride. As a result, all the work dentists did over the past century to try to prove that fluoride added to the water supply is “safe and effective” was used to vouch for the safety of cryolite, too. Dentists did not do this work on their own. Just like in the official story of fluoridation on the NIDCR website, they worked with corporations who had a vested interest in proving that fluoride is both safe and effective. One of the most common elements in the earth’s crust, fluoride is also the most reactive. Because of its high reactivity, fluoride is not found on its own in nature but is bound with common metals and minerals such as bauxite and phosphate. In addition, fluoride has the prized ability of lowering the melting point of metals, making it a bedrock of key manufacturing processes. This explains why fluoride is a byproduct of so many industries, from aluminum plants and phosphate processors, to steel mills, coal burning operations, and brick and tile manufacturers. According to the U.S. Department of Agriculture, “Airborne fluorides have caused more worldwide damage to domestic animals than any other air pollutant.” To avoid future litigation, when dentists started investigating fluoride, corporations were all too willing to work closely with them to keep an eye on the science and help direct their research. They desperately needed a way to clear fluoride’s name. In 1913, Alcoa leaders took this strategy a step further when they created the Mellon Institute of Industrial Research at the University of Pittsburgh. Alcoa-funded researchers at the Mellon Institute were the first to make a public proposal to add fluoride to the water supply. Similarly, the Kettering Laboratory of Applied Physiology at the University of Cincinnati was established in 1930 by other corporations with a self-interest in fluoride research, including DuPont and General Motors. By 1931, the majority of the Kettering Laboratory’s research focused on fluoride. Kettering scientists spent their careers refuting studies that revealed the dangers of fluoride exposure. When their own studies indicated fluoride is toxic, such as the one they conducted in 1958 on 42 beagle dogs, the results were never published and were literally hidden in the basement. Undue industry influence on government dental research, combined with institutional and bureaucratic pressure to maintain the status quo, reveals why the health hazards of fluoride are not apparent to regulators. The EPA evaluators who reregistered cryolite readily admit it accumulates in the body at all doses, but they don’t consider that a bad thing. Dental fluorosis (the brown stains on teeth McKay studied in Colorado) is noted as “an endpoint” in several toxicology studies but that’s also ruled out as an adverse affect. Now to my ears, that sounds like we haven’t done sufficient studies on the cancer-causing effects of fluoride and that maybe we should do some before we sprinkle fluoride flakes (a.k.a. raisins) on our kids’ breakfast cereal, but the EPA evaluators for cryolite interpreted it differently. I know this is how we deal with people accused of murder, but are pesticides innocent until proven guilty, too? When several “diva” bunnies died after licking their fur, an act that was not in their contract, EPA told Battelle they didn’t need a do-over because it was already obvious to them just by looking at the picture of cryolite that it would not be absorbed through the skin to an appreciable extent to justify requiring an additional study. If EPA evaluators stopped staring at paper and computer screens and instead started examining actual cryolite and the people who are exposed to it, then perhaps its toxicity would become apparent to them. In 1932, without access to computers, biased industry studies, or dental rumors of any kind, researchers at the State Hospital in Copenhagen published the first comprehensive report of industrial cryolite toxicity after studying 78 workers from a cryolite factory who developed lung fibrosis, fluorosis of bones and ligaments, and gastrointestinal problems attributed to their exposure to fluoride. When their workspace was especially dusty, they experienced routine bouts of nausea and vomiting, too. Raisin harvesting is commonly recognized as the most labor intensive activity in American agriculture, requiring an extra 40,000 to 50,000 workers for a three- or four-week harvest period each year. In a 1991 survey, 35 percent of raisin harvesters readily admitted they used fraudulent documents to obtain employment in the United States. A recent article in the Economist cites that statistic as high as 90 percent for today’s seasonal raisin work force. Is it surprising none of them filed an incident report for pesticide exposure in the federal database? If the EPA evaluators would have at least asked Internet about it, they would have noticed a handful of cryolite illness reports filed by the California Department of Pesticide Regulation, including a 2009 incident when a school bus driver saw three students run across the street to avoid cryolite spray. The children were interviewed and reported symptoms of headache, nausea, dizziness, and sore throat. Pesticide drift was confirmed by foliage samples. The EPA reregistration for cryolite in 1996 did explain one mystery: why the Cryolite Task Force submitted a petition one year later for a residue tolerance for fluoride on raisins of 55 ppm. The EPA report notes that fluorine compounds in raisins are concentrated ten times higher than the residue on grapes. Since the tolerance for grapes was 7 ppm, EPA evaluators simply submitted a request to EPA’s Mathematics Department to multiply that number by ten to calculate a proposed tolerance for raisins of 70 ppm. EPA ruled favorably on that amount but then realized it did not conform to the government procedure for calculating such tolerances which required the use of maximum averages rather than average maximums so they settled on the fine Fibonacci number of 55 instead. Despite the petition from the Cryolite Task Force, an EPA document from 2011 states the modified tolerances for cryolite from 1996 were not published, and as I mentioned previously, the current residue tolerance for raisins is not listed on the latest EPA guideline. We could go mad hatter crazy researching the EPA paper trail for cryolite tolerances, but we already wasted enough raisin jokes on their antics — you and I and every raisin grower this side of Willy Wonka’s Raisin Factory already know they’re not enforced or even monitored. The government knows it, too. 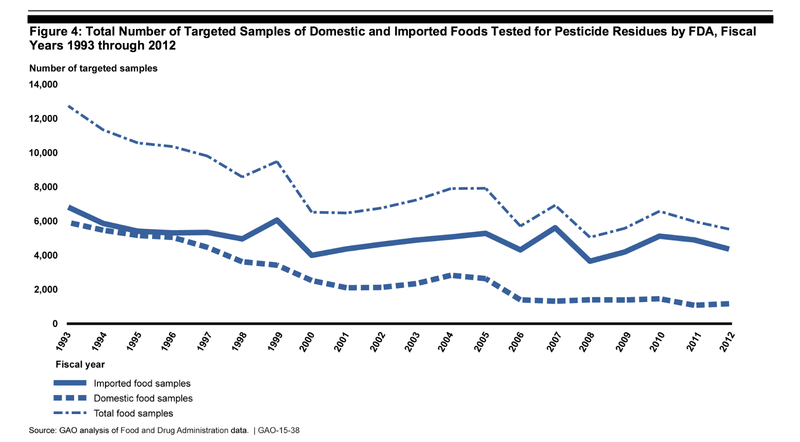 In a 2014 report to Congress, the Government Accountability Office criticized the FDA for scrutinizing imported foods over domestic crops, even though most of the food items consumed in the United States are produced domestically. They also chastised FDA for not disclosing in its annual report that inspectors do not monitor for several common pesticides with established residue tolerances. 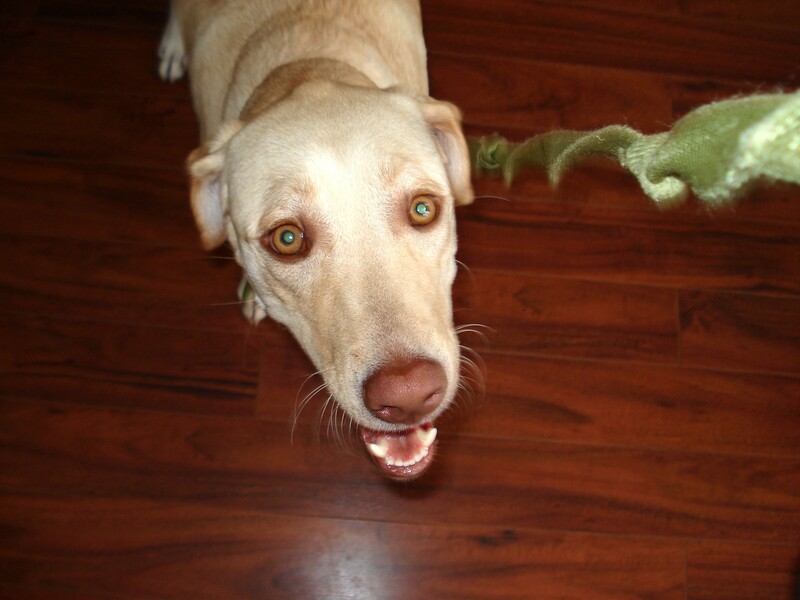 So that’s the long version of how to keep your dentist from killing your Labrador retriever (and other pets). If you want the short version, buy organic. 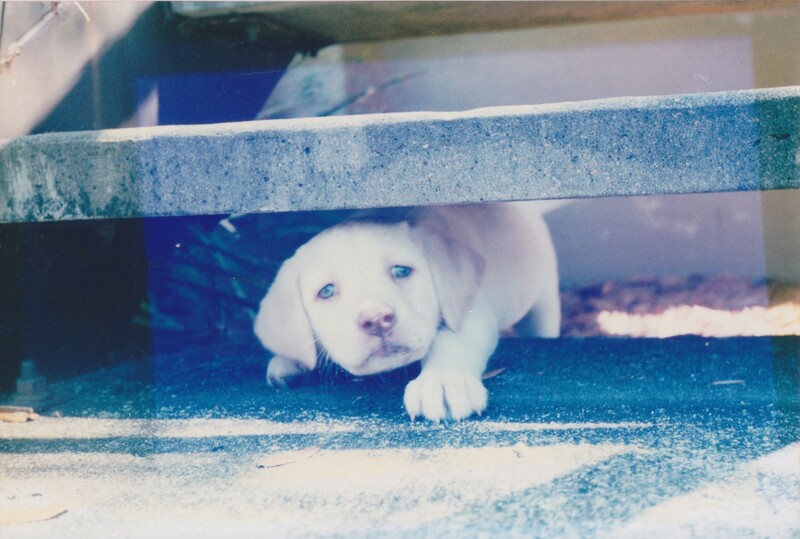 Stairs are hard. Am I at the top yet? 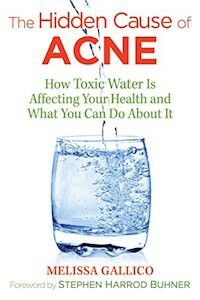 **Learn more about fluoride in my book, The Hidden Cause of Acne: How Toxic Water is Affecting Your Health and What You Can Do About It. **Sign my petition to end fluoridation at Change.org.